Tamil Thalaivas played out a thrilling 40-40 tie against Haryana at the Netaji Subhash Chandra Bose Indoor Stadium in Kolkata on Tuesday. 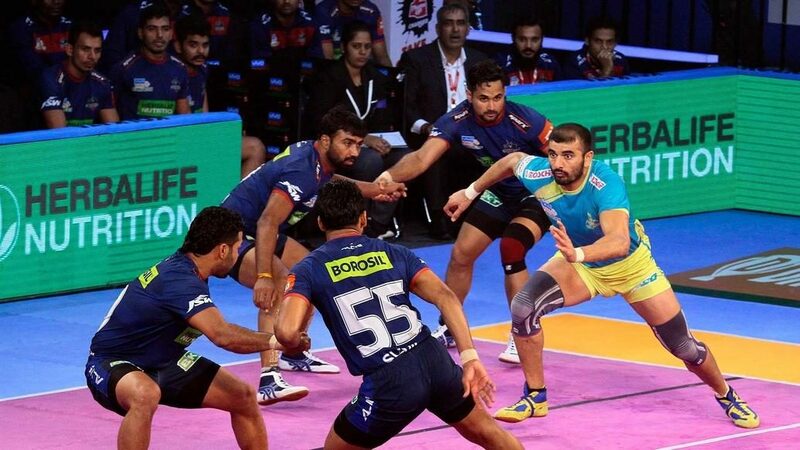 While Ajay Thakur starred for Tamil Thalaivas with 17 raid points, Monu Goyat put in a season-best performance for Haryana Steelers, returning 16 raid points. Vikash Khandola also managed to get a Super 10 on a night dominated by the raiding units of both sides. 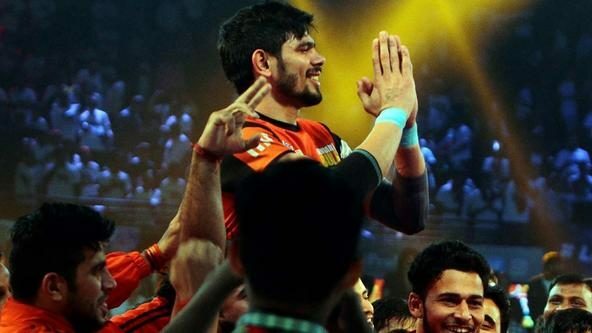 After conceding three points, Haryana Steelers got their first point of the night in the 3rd minute through an Ankle Hold by Parveen on Ajay Thakur. Monu Goyat’s touch on Ponparthiban Subramanian in the 9th minute then levelled the scores at 6-6. Goyat immediately followed it up with an Ankle Hold on Sukesh Hegde to give Haryana Steelers their first lead of the match. Tamil Thalaivas raced to another lead following that before Haryana Steelers drew abreast once again by way of the game’s first Super Tackle as Parveen managed to get a successful Block on Thakur in the 14th minute. Anand gave Tamil Thalaivas the advantage heading into the half as he got the final three points before the whistle to reduce Haryana Steelers to a solitary player on the mat with the scores at 16-14. The second half began with Amit Hooda managing a Thigh Hold on Prateek to help Tamil Thalaivas inflict the first All-Out of the game. Trailing by four points, Haryana Steelers then came back strongly and managed to level the scores at 20-20 in the 4th minute by way of a touch point by Vikash Khandola on D. Pradap. 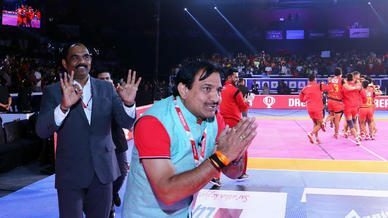 Khandola sent Hooda to the bench soon after to reduce Tamil Thalaivas to two players on the mat before he got touches on both to help Haryana Steelers inflict their first All-Out of the game in the 8th minute with the scores reading 27-23 in their favour. 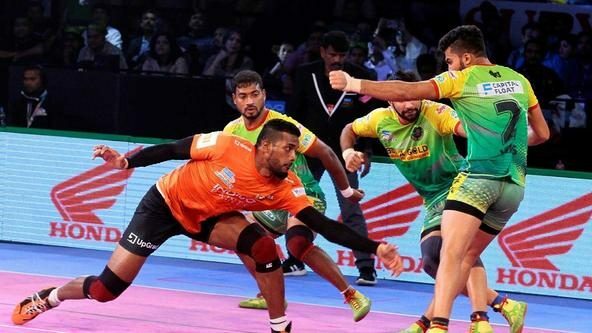 Thakur got his first Super Raid of the night in the next minute as he got touches on Mayur Shivtarkar, Naveen and Khandola and helped Tamil Thalaivas reduce the deficit to a solitary point. 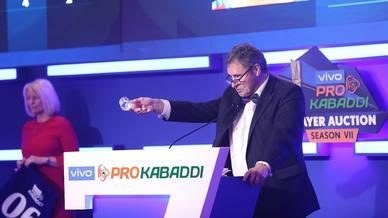 He followed it up with a touch on Parveen to reduce Haryana Steelers to three men on the mat before managing to record his second Super Raid in as many minutes, helping Tamil Thalaivas inflict their second All-Out of the game and reaching his Super 10 in the process. 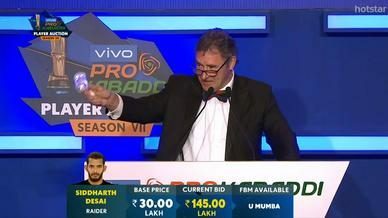 With Tamil Thalaivas four points ahead, Goyat got touches on Darshan J. and Pradap to complete his Super 10 in the 12th minute. He then managed another two-point raid before Khandola got a touch on Hooda to level the scores at 36-36 in the 17th minute. Tamil Thalaivas took control of proceedings from that point on and built a lead that lasted till the final minute of the match. With Tamil Thalaivas leading by two points and two raids left, Sunil managed a Back Hold on Thakur before Khandola got a touch on Anand with the final raid of the game to level the scores at 40-40. Khandola also got to his Super 10 courtesy of that point.